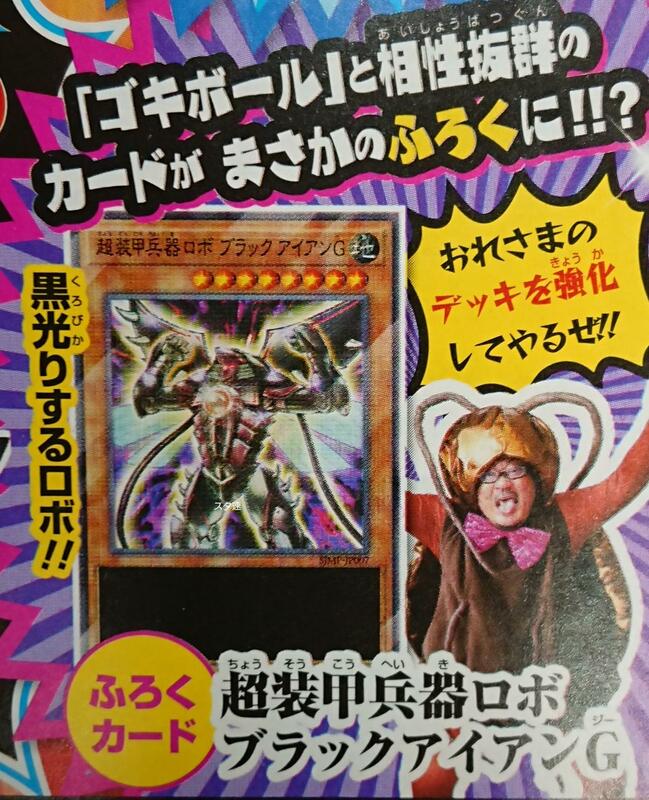 The Cockroachs continue their invasion into Yu-Gi-Oh!, with their own Super Robot! Its Type, effects, and ATK/DEF are unknown. The card will be packaged with the next issue for Saikyo Jump, out in Early August 2018, apparently. We’ll reveal further information on it as it becomes available. Apparently the monster will work very well with “Gokibore”.